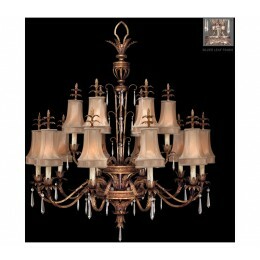 Chandelier in an antique gold finish finish features delicate fretwork accented by crystal pendants. Hand-tailored shades of spun gold silk feature decorative pleated galleries and decorative finial. 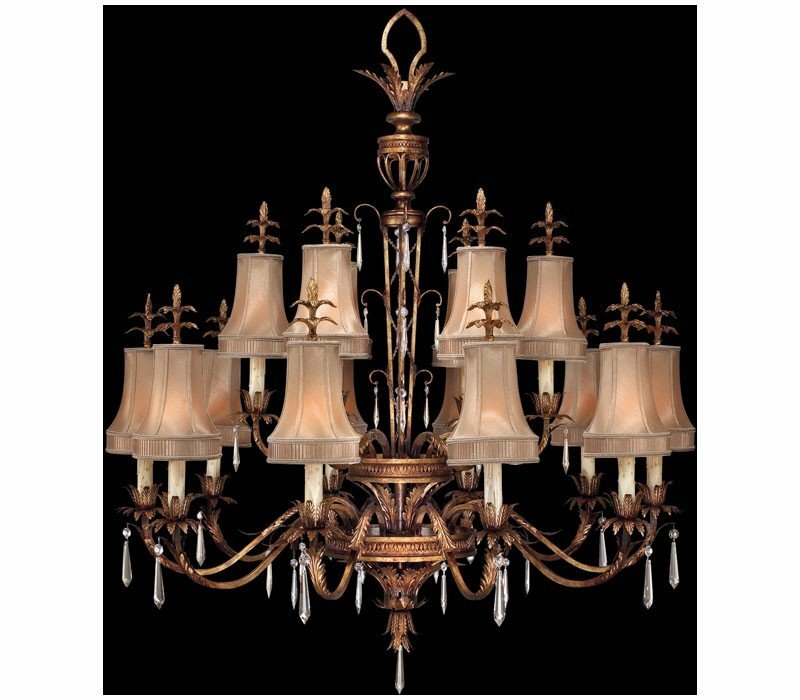 The Fine Art Lamps 428040-2 Pastiche collection Chandelier Lighting in Antique Gold uses Incandescent light output and brings Antique style. This item is 57"H x 48"W. The total wattage is 960 and the voltage is 120 volts. 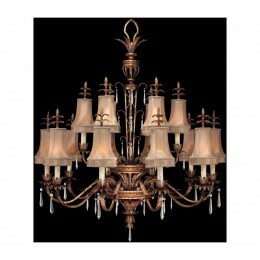 The Fine Art Lamps 428040-2 requires 16 bulbs (not included). Additional Information: Shade-Spun Gold Silk Hand-Tailored Shade.